The Dodge RAM line of trucks have set the bar for pickups with their "big rig" styling clues and macho image. 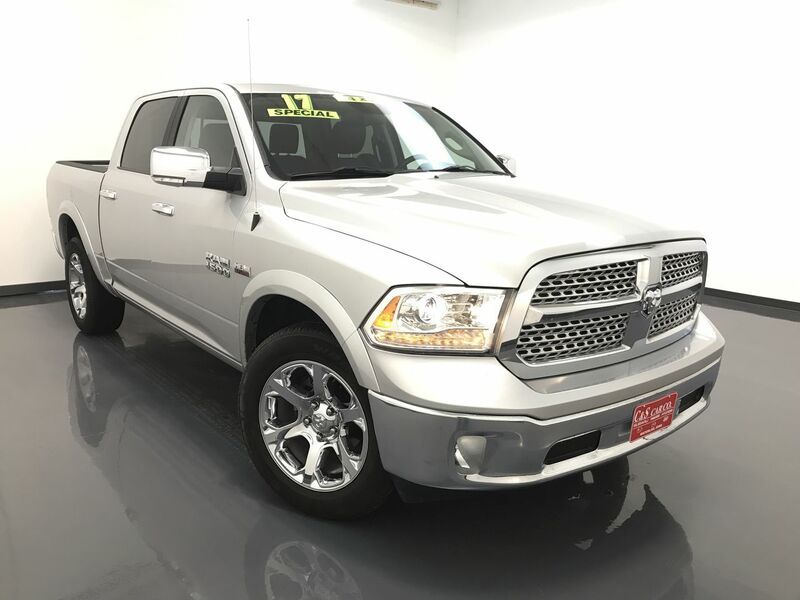 This 2017 RAM 1500 LARAMIE is a crew cab 4x4 with a 5.7' bed and a Hemi V-8. There is a leather interior with heated, cooled and power assisted front seats, a 2 person memory for the driver's seating position, and a heated steering wheel. There is keyless entry, dual climate controls, a back-up camera, wood grain interior accents, and an AM/FM/CD sound system with Sirius satellite radio and Bluetooth connectivity. The exterior is highlighted with chrome 20" alloy wheels with Goodyear tires, power folding exterior mirrors, and a 2" receiver hitch. Call C & S Car toll free at 866-212-8718 or locally at 319-291-7321.